Panasonic’s Lumix TZ200, or ZS200 as it’s known in North America, is the new top model in its enormously popular travel-zoom series. Announced in February 2018 it comes two years after the Lumix TZ100 / ZS100, and like that model packs a relatively large 1in / 20 Megapixel sensor into a compact body with a built-in viewfinder and decent zoom. But where the earlier TZ100 / ZS100 featured a 10x / 25-250mm equivalent range, the new TZ200 / ZS200 extends it to a 15x / 24-360mm equivalent range while maintaining much the same pocketable dimensions. Surprisingly in the two years since the TZ100 / ZS100 was released, no other manufacturer has attempted to compete with it on lens range. Sure there are plenty of compacts with longer zooms, but they have much smaller sensors. Meanwhile the premium compacts with larger 1in sensors have generally stuck with shorter zoom ranges typically of less than four times. The price to pay for the longer zoom is a slower focal ratio: f3.3-6.4 on the new TZ200 / ZS200, making it optically dimmer than its predecessor’s f2.8-5.9, both of which are already way behind the typical f1.8-2.8 of their rivals with shorter zooms. This in turn means a reliance on higher ISOs to maintain hand-holdable or motion-stopping shutter speeds, especially when zoomed to the longer-end of the range, but if you want a big sensor, a long zoom and a bright aperture, you’ll need a much larger and heavier camera like Sony’s RX10 IV or Panasonic’s FZ2000. Like its predecessor, the TZ200 / ZS200 is fairly unique amongst its peers to include a built-in electronic viewfinder and unlike Sony’s RX100 series, there’s no need to pop it up either. The image remains small in the viewfinder and continues to employ a field-sequential panel that’s not as solid as an OLED for me, but Panasonic’s at least boosted the resolution. The screen’s sadly still fixed in place, thereby lacking the tilt of most Sony and Canon premium compacts, but at least it remains touch-sensitive. The TZ200 / ZS200 also keeps the 4k UHD video of its predecessor, but now offers 1080 at 100p for slow motion, as well as improved focusing (still contrast-based) and Bluetooth to complement the existing Wifi. The literally big news though remains the 15x zoom range, the longest for a 1in compact with a pocket body. Read my full review to discover if the Lumix TZ200 / ZS200 is the premium compact travel-zoom for you. Panasonic has done an amazing job of accommodating the 15x zoom of the new TZ200 / ZS200 in a body that’s only a couple of millimetres bigger all round than its 10x predecessor; the new model is 30 grams, or around an ounce heavier. Appearance-wise it doesn’t look all that different – the new model sports a red strip down the edge of the grip and the addition of a band of soft rubber-like material makes for a more secure grip, particularly one-handed. I’m pleased to say that Panasonic has dropped the Lumix script ‘L’ on the front of the body, I never liked it. On the top things also look pretty much the same as before, the most obvious difference being the lens labelling which now reads 24-360 rather than 25-250. And having introduced a new red stripe on the front, Panasonic has ditched the one that previously appeared on the top. When retracted the lens protrudes a fraction more, but the overall increase in depth is less than a millimetre – which is truly remarkable given the extra range. Bar some cosmetic changes the model dial remains as before with positions for intelligent Auto and the PASM exposure modes, movie shooting, a custom position, panoramas, Scene modes and effects. As before, the on / off switch is mounted on the mode dial and the control dial is positioned close to the rear edge for easy thumb operation. The TZ200 / ZS200’s viewfinder has a magnification factor of 0.53x compared with 0.46x on its predecessor and of course the resolution has doubled from 1,116,000 to 2,330,000 dots. In practice, the viewfinder is much more than just a fallback option in sunny weather. While it’s no match for the bigger, brighter viewfinders on compact system cameras it’s easily up to the task of shooting fast moving sports action. As with the TZ100 / ZS100, the only drawback is that it’s all too easy to inadvertently reposition the AF area if your nose makes contact with the touch screen, but it’s easy enough to turn it off if you’re using the viewfinder exclusively. The Lumix TZ200 / ZS200 features the same 3 inch 1040k dot fixed touch screen as its predecessor. The touch screen supports the TZ200 / ZS200’s 4k shooting modes and you can use it to reposition the AF area. 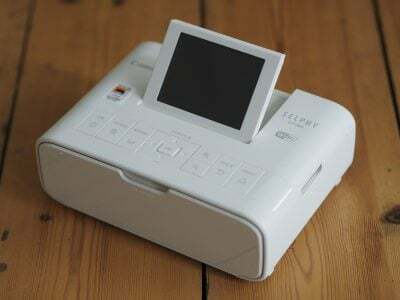 It’s also very handy for making menu selections as well as providing additional controls including soft function buttons to augment the numerous physical buttons on the camera body. The only real shortcoming of the TZ200 / ZS200’s screen is that it’s fixed in place and can’t be flipped up or out, which puts it at a disadvantage compared with other premium 1 inch compacts like the Lumix LX10 / LX15, the Sony RX100 Mark V and the Canon PowerShot G7X, though the RX100 V lacks a touch screen. The Lumix TZ200 / ZS200 has a new 15x zoom lens with a 35mm equivalent range of 24 – 360mm. Above you can see the field of view you can capture at its widest 24mm setting. If you’re looking for a long zoom in a compact, pocketable format, with the image quality and noise performance that a 1 inch sensor provides there’s nothing else that even comes close. To match it you either have to compromise with a smaller sensor, like the Lumix TZ90 / ZS70 or a bigger body, like the Lumix FZ2000 or Sony’s RX10 IV. But with the Lumix TZ200 / ZS200 you get the best of all worlds with a range that goes from super wide angle to a fairly respectable telephoto. Except that’s not quite the whole story. 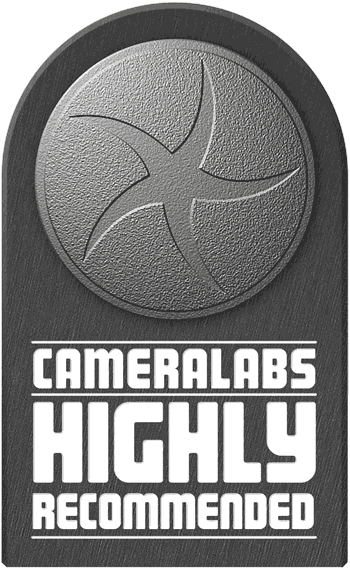 The one limiting factor with this 15x zoom is its maximum aperture which at f3.3 – f6.4 isn’t the brightest. That’s going to become an issue if you want to capture fast moving action in low light and if you like to take shots with shallow depth of field and blurry backgrounds. More about that later. Here’s the TZ200 / ZS200 zoomed in to its maximum 360mm equivalent telephoto focal length. At this 360mm equivalent focal length the maximum aperture reduces to f6.4, not a problem for subjects like this in good light. Even when the light begins to fail the the TZ200 / ZS200’s excellent stabilisation will allow you to take hand-held shots at shutter speeds as slow as 1/25th. But if you’re a keen sports or wildlife photographer you’ll need to raise the ISO sensitivity to maintain a fast enough shutter speed for capturing moving subjects. The TZ200 / ZS200 has a close focussing distance of 50cm which reduces to 3cm with macro focus enabled as it was for this shot. To get that close you need to be at the maximum wide angle 24mm setting and for this shot I set the widest available aperture of f3.3 in Aperture priority mode in order to minimise the depth of field. So you’re looking at one of the best-case scenarios for a shallow depth-of-field here. if you want greater blurring at close range wide-angle, the Lumix LX10 / LX15 does a much better job with its brighter f1.4 focal ratio. Here’s another shot where I’ve attempted to throw the background out of focus. Once again I’ve set the lens to the maximum 24mm wide angle at selected f3.3 in Aperture priority mode. This time macro AF wasn’t selected and I’ve attempted to get as close to the daffodils as possible. You have to be careful with the TZ200 / ZS200 as it has a tendency to report a successful AF lock even when the subject is too close – I’ve got a handful of these shots where that happened and the flowers are not in focus. Here the TZ200 / ZS200 has done a passable job at throwing the background out of focus, but bear in mind that at the widest aperture and with the subject as close as possible, this is as good as it’s going to get without zooming in. Here’s another shallow depth of field shot, this time at the TZ200 / ZS200’s maximum telephoto focal length of 360mm equivalent. Here the maximum aperture of f6.4 is wide enough to throw the background completely out of focus with the subject reasonably close (the closest focus distance when fully zoomed in is one metre). Like its predecessor, The Lumix TZ200 / ZS200 has 1080p HD movie modes at 25 and 50 frames per second in PAL regions and 30 and 60 fps in NTSC regions. It also supports 4k UHD video at 25 or 30fps. The 4k options record Ultra High Definition video (3840×2160 pixels) at 25 or 30fps depending on region, and at a bit rate of 100Mbit/s in an MP4 wrapper. There’s also a 24fps option encoded at 100Mbit/s. The Lumix TZ200 / ZS200 has sensor dimensions of 5472×3648, from which it takes what appears to be a 1:1 crop to generate a 4k UHD frame. To illustrate the difference in coverage I compared actual 4k footage I filmed with the TZ200 / ZS200 against still photos when using the same lens setting and position. In the image below, the 4k coverage is indicated by the outer edge of the red frame, resulting in a not insignificant reduction in the field of view; indeed when filming 4k video, the equivalent range is cropped from 24-360mm to 30-450mm – good news at the long end, but you lose a lot of coverage at the wide-end. If you want the to capture video at the full sensor width, you’ll need to reduce the quality to 1080, although there’s obviously a vertical crop due to the different aspect ratios – 16:9 against 3:2. Moving on, the Lumix TZ200 / ZS200 records 1080p at up to 28Mbit/s in AVCHD or MP4 modes. In addition to 1080p50/60, the MP4 modes are 1080p25/30, 720p25/30 and 640x480p25/30. Switch to AVCHD format and the options are 1080p50/60 at 28Mbit/s, 1080i50/60 at 17Mbit/s (from 50p sensor output) or 24Mbit/s (from 25p sensor output), and 1080p24 at 24Mbit/s. The Lumix TZ200 / ZS200 can also shoot 1080p movies at 100fps for slow motion playback at a quarter real time speed, upgraded from 720p on the Lumix TZ100 / ZS100. 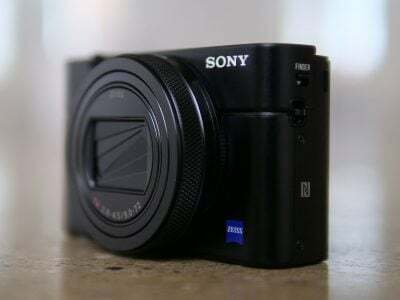 It’s an improvement, but the TZ200 / ZS200 still lags way behind the slow motion video capabilities of Sony’s RX100 V. Sony’s High Frame Rate feature offers a multitude of slowmo options including 240 / 250fps, 480 / 500fps or 960 / 1000fps in NTSC / PAL regions respectively. These are automatically conformed in-camera to (your choice of) either 25p or 50p for PAL regions, or 24p, 30p or 60p for NTSC regions. If you choose the 25p and 24p options, the three recording modes will slow-down the action by 10, 20 or 40 times respectively. The quality reduces as the frame rates increase, but it’s still impressive to have this degree of slow motion at your disposal in a pocket camera. That said, a four-time slow-down at 1080p may still be sufficient for your needs – here’s an example of how it looks on the TZ200 / ZS200. Above: Download the original file (Registered members of Vimeo only). New to the TZ200 / ZS200 is 1080p high speed video recorded at 100fps. When high speed video is turned on in the movie menu the TZ200 / ZS100 records at 100fps for 25fps playback at a quarter real time speed. The focus is fixed, as you can see if you watch the clip to the end. Other video features include snap movie, which records a short clip of between two and eight seconds in length. With snap movies you can set up a focus pull in advance tapping the screen to define the start and end focus positions, which is pretty neat. You can also add a monochrome to colour fade in or out effect, as well as a simple exposure fade. There are also Time Lapse and Stop Motion modes, accessed through the main menus rather than the movie options. Panasonic recommends using an SD card rated at Class 4 or faster for AVCHD, and UHS-I Class Speed 3 (U3) for the 100Mbit 4K UHD and 1080p / 100p / 120p modes. Live Cropping, introduced on the TZ100 / ZS100, exploits the resolution of a 4k frame to provide a digital pan and zoom feature at 1080p resolution. You specify the start and end of the clip by tapping the screen to position a 1920×1080 sized frame. You can also set the overall time of the clip to either 40 or 20 seconds. The degree of zoom is limited to the full 4k frame at the wide end to the 1920×1080 frame at the ‘zoomed-in’ end to maintain quality. It’s a neat feature which makes innovative use of the TZ200 / ZS200’s 4k resolution to make life easier, particularly if you need a super-smooth panning shot, but don’t have a tripod. On the Lumix TZ200 / ZS200 you can record in PASM exposure modes, selected either from the video menu or by tapping the exposure mode icon in the top left of the screen when the mode dial is in the movie position. During recording you can change the exposure setting including, depending on the mode, aperture, shutter speed, ISO sensitivity and exposure compensation. While you can use the camera’s physical controls to alter the settings the touch screen provides a slide out panel allowing you to do so silently. You can also tap the screen to pull focus during recording, or of course use the lens control ring. There’s also focus peaking and zebra patterns to help with focus and exposure. Above: Download the original file (Registered members of Vimeo only). For this clip and the ones below I set the Lumix TZ200 / ZS200 to its 1080 / 60p video mode. The quality is good and the TZ200 / ZS200 handles the exposure well. The stabilisation is rock steady as is the autofocus. You can see a 4k version here. Above: Download the original file (Registered members of Vimeo only). For this clip I mounted the TZ200 / ZS200 on a tripod and disabled the stabilisation. Once again the exposure is spot on and the quality of the TZ200 / ZS200’s 1080p video looks very nice. The zoom motor noise isn’t as audible in this clip as the previous one and the autofocus once again does a good job. You can see a 4k version here. Above: Download the original file (Registered members of Vimeo only). Another nice result from the Lumix TZ200 / ZS200 in this interior low-light panning shot. There’s no evidence of noise, the exposure is good, and the colour balance is spot on. The stabilisation keeps things nice and steady and the continuous autofocus doesn’t falter. You can see a 4k version here. Above: Download the original file (Registered members of Vimeo only). You can use the TZ200 / ZS200’s touch screen to focus during movie recording simply by tapping the area you want to focus on. With the lens zoomed in a little and the aperture set to its maximum to minimise the depth of field I alternately tapped the screen (with my thumbs while hand holding the camera) in the area of the coffee cup and then the furniture below the illuminated bar sign (the TZ200 / ZS200 had problems focusing on the sign itself). Though it lacks the phase detect AF present on models like the Sony RX100 V, the Lumix TZ200 / ZS200 is nonetheless capable of confidently shifting the focus back and forth without hunting. You can see a 4k version here. There’s three continuous shooting modes on the Lumix TZ200 / ZS200: Low (2fps with Live View), Medium (6fps with Live View), and High (10fps without Live View). With Continuous autofocus, the top speed reduces slightly to 6fps regardless of whether you’re set to Medium or High, so you may as well go for the former and enjoy Live View. Like other recent Lumix models with 4k video, the TZ200 / ZS200 also supports Panasonic’s 4k Photo mode – a fun way of exploiting the fact 4k video captures an 8 Megapixel image up to 30 times a second. The TZ200 / ZS200 is equipped with software that lets you easily capture bursts of video before scrolling through the footage and extracting the perfect frame as a JPEG image, all in-camera. You could of course frame grab from video externally, but Panasonic has made it easy to perform the whole process in-camera. There’s three options: Burst (which records video while the shutter button is pressed), Burst S / S (which starts recording with one press and stops with another), and 4K Pre-burst (which keeps a rolling buffer to avoid unwieldy clips to store and go through). Post Focus is another feature that uses the TZ200 / ZS200’s 30fps 4K shooting mode, in this case to focus-bracket a rapid sequence of images. Post focus mode is selected from the Rec menu and is also assigned by default to the Fn2 button. When selected you obviously can no longer set the AF area, but the PASM and other shooting modes can be set in the usual way as can the ISO sensitivity. The only limitation is the slowest available shutter speed which, as for other 4k shooting modes is 1/30. You can choose one of four 8M aspect ratios – 4:3, 3:2, 16:9 and 1:1. The above shot was taken in the TZ200 / ZS200’s 10fps continuous high mode which disables live view and fixes the focus and exposure on the first frame. Despite that I got a good number of keepers from this session at a local football match, though I also lost a fair few due to mis-focussing. I was more concerned that the TZ200 / ZS200’s maximum aperture of f3.3 – 6.4 was going to prevent me from selecting a sufficiently fast shutter speed to capture the action a reasonably low ISO sensitivity. The above shot was taken on a bright day with a mixture of sunshine and cloud allowing me to shoot in Shutter priority mode at 1/500 with the ISO set to auto; most of my shots were in the range of 250 to 640 ISO which I’d say is acceptable. That said, in poorer lighting conditions you could easily end up having to shoot north of 1600 ISO in order to maintain a fast enough shutter speed – that or put up with a little bit of motion blur at slower shutter speeds. It’s worth noting that the older Lumix TZ100 / ZS100’s 10x f2.8-5.9 lens would make only about a quarter of a stop difference, or to put it another way the difference between 400 and 500 ISO. However, If you compare it with the 24-70mm f1.8-2.8 lens on the Sony RX100 V, or the 24-100mm f1.8-2.8 Canon PowerShot G7X Mark II, the difference is more than two stops, so you could be using 400 ISO on either of those models compared with 1600 ISO on the TZ200 / ZS200. 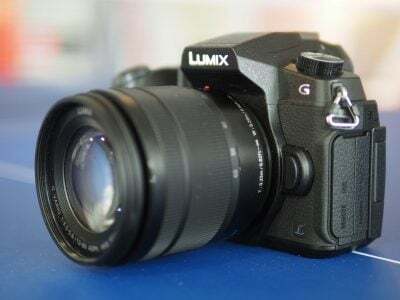 Not forgetting the Lumix LX 10 / LX15 with it’s 24-72mm f1.4-2.8 lens That said, neither the Lumix LX10 / LX15, the Sony RX100 V nor the Powershot G7X II would get you anywhere near as close to the action as the Lumix TZ200 / ZS200. There’s always compromises when dealing with a pocket-sized body. As on the earlier Lumix TZ100 / ZS100, the Lumix TZ200 / ZS200 is equipped with Wifi for wireless image transfer and remote control with smartphones. The new model adds Bluetooth for seamless location tagging, a more responsive remote shutter, and easy Wifi negotiation. Once paired over Bluetooth using the free Lumix Image App for iOS or Android handsets, the app remains in low-power contact with the camera, allowing it to pass location details and embed them on images with no effort or interaction (the Image App needs to be left running for location tagging to work). For a live image, greater control, or the chance to transfer images, you’ll need to connect over Wifi. On my iPhone whenever a Wifi connection was required an alert prompted me to connect with the TZ200 / ZS200 in my Phone’s settings. Judging from Gordon’s experience using the Lumix G9 with his Samsung Galaxy S7, it’s a little more seamless with an Android handset – the app will use Bluetooth to fire-up the Wifi on both devices and take care of passwords for you. In Remote Operation you get (almost) full manual control over the camera with the chance to adjust pretty much anything that’s not set by a physical dial. So while the exposure mode still has to be adjusted on-camera using the camera dial, the app lets you set the photo and video quality, shutter, aperture, ISO, white balance, exposure compensation and AF area. You can start and stop video recordings of any quality via the app, and also tap the phone screen to pull-focus while filming. If peaking or zebras are enabled on the camera, you’ll also see them in the live view too. The app downloads a low resolution thumbnail that you can pinch to zoom-in a little, but not as much as if you were viewing the original. When you see an image you like, just tap it and the Lumix Image app will let you save the original to your device or start uploading it to one of the social, sharing or storage services installed on your device. You can configure the app to provide shortcuts to two or three of your most used services which could include Dropbox and Instagram in addition to the more usual suspects. Or of course once the image is copied into your device, you could just exit the Panasonic app and handle it direct from whichever sharing or storage app you like via your phone’s gallery.You can also choose whether to copy images in their original resolution, or in one of two smaller versions. Overall the wireless experience of the Lumix TZ200 / ZS200 is excellent with the Bluetooth in particular behaving exactly as you’d want it to: quietly and efficiently doing the hard work behind the scenes, leaving you to enjoy the remote access with your phone. Moving the TZ200 / ZS200’s mode dial to the Creative control position provides access to 22 effects including Expressive, Retro, Old Days, High Key, Low Key, Sepia, Monochrome, Dynamic Monochrome, Rough Monochrome (above), Impressive Art, High Dynamic, Cross Process, Toy Effect, Toy Pop, Bleach Bypass, Miniature Effect, Soft Focus, Fantasy, Star Filter, One Point Colour and Sunshine. Next check out my results and sample images pages or skip straight to my verdict using the tabs above!